We are offering Glass Tape to our clients. SI FLOW FC 070 is a true multi parameter Coriolis transmitter ready for quick installation and system integration. SI FLOW FC 070 is the most compact, space-saving and versatile transmitter available. Direct integration into SIMATIC S7 automation system. Standardized user interface - SIMATIC Manager, PC S7 and SIMATIC PDM. 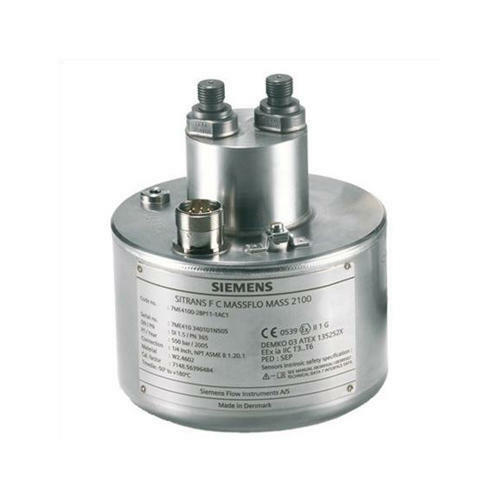 Compatible with the complete range of SI TRANS F C Coriolis sensor. Stand-alone functionality or third party PLC integration. Ultra compact space saving design in SIMATIC 40 mm standard module. Automac Engineers is a well-known entity established in the year 1998, at Ankleshwar (Gujarat, India). We are successfully ranked amongst the top Manufacturers, Traders of optimum quality Siemens Pressure Measurement Equipment, Temperature Measurement Equipment, Flow Measurement Equipment, Level Measurement Equipment and many more.